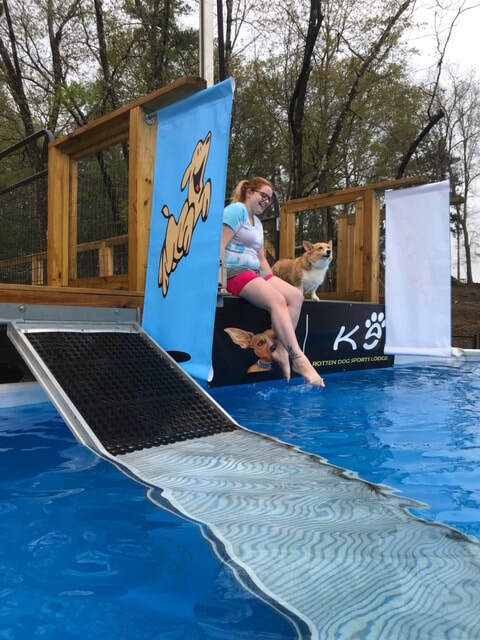 Dixie Dock Dogs and Rotten Dog Sports Lodge promote a fun and encouraging environment while teaching your dog the fundamentals of dock diving. We ask that you please read and adhere to the following rules and procedures to help us to create a safe and enjoyable experience to everyone involved.Failure to do so may result in the expulsion of you and your dog from the event. All dogs must be on a 4’ leash when not securely confined to a crate, except when it is your time on the dock. If you choose to keep your dog on a leash, please give ample room away from the dock and water. There must be a minimum of 8’ between dogs. If you would like to stay around the dock area and socialize, please securely crate your dog, and remain outside of the immediate fenced in pool area.This gives each dog his or her own space when jumping, exiting the dock area, and/or returning to the dock.Your dog must remain on a leash or confined to its crate even in your tenting area. Aggressive dogs will not be allowed at practice. Any dog which bites another dog or another person will be asked to leave. It is your responsibility to pay attention to your dog and your surroundings. Abuse, or any behavior deemed as harsh or unprecedented,of any dog,will not be tolerated. Anyone abusing any dog, including his or her own, will be asked to leave as well. 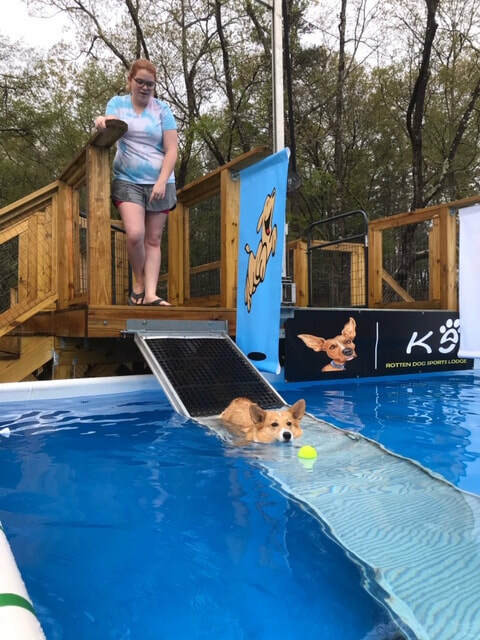 We recommend you encourage your dogs off the dock, however, pushing, pulling, or shoving your dog in to the water is not allowed. You may get in the pool to encourage your dog to jump, however there will be NO life guard on duty. No training collars are allowed on the dock. This includes pinch collars, choke chains, e-collars, and martingales. Well fitting harnesses, flat buckle collars, and life preservers ARE allowed. You will be given a running order as you sign in for practice. Please be aware of your spot in line and be ready to enter the pool area when you are signaled by the wrangler. Practices and 101’s are very busy; and, we want to allow everyone their fully allotted time. When it is your dog’s turn on the dock, wait until the previous dog is off the dock, leashed, and under control before unleashing your dog. The DDD wrangler will let you know when you may come up on the practice dock. 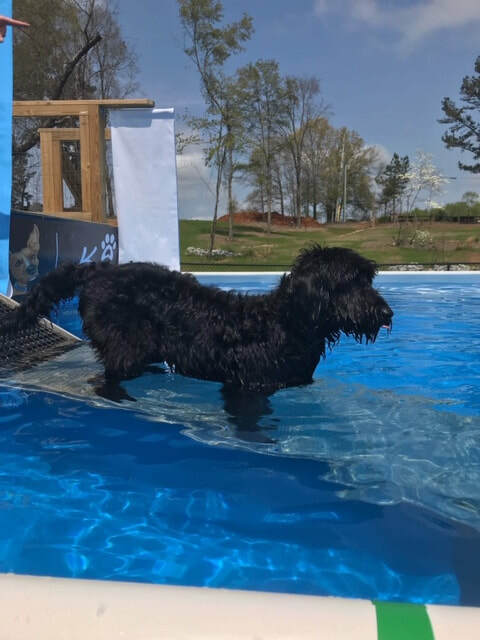 Please do not allow your dog up on the dock unless Dixie Dock Dogs staff member is at pool side. *Please clean up after yourself and your dog. You are welcome to bring food or drink for you and your pet. Clean up bags for your dog are not provided at the site, but ask the Wrangler if you need one. 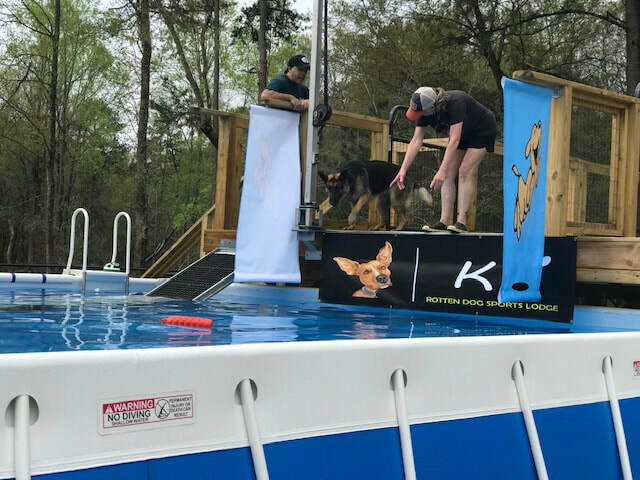 No one is allowed on the dock unless they have signed a waiver and are immediately helping handle or encourage the dog. Children under 7 years old are not allowed on the dock unless previously discussed with a staff member and are accompanied by an adult. 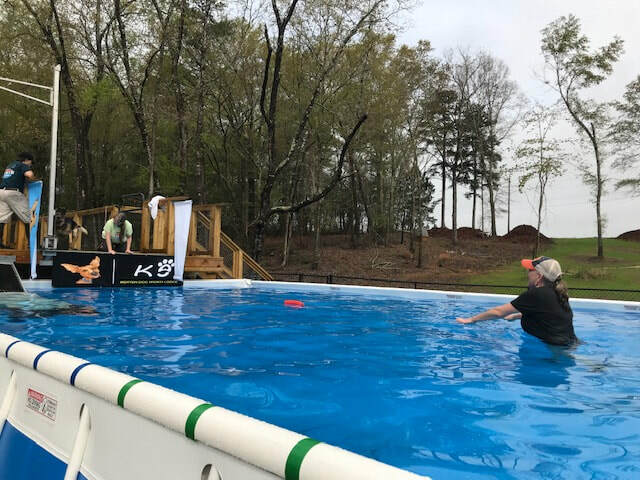 EVERYONE must sign in and fill out a waiver of liability if you will be within the immediate dock area and participating in any form of handling.